VoxConnex is our revolutionary voice platform. Giving you powerful tools like VoxConnex Hosted PBX, VoxConnex SIP Trunks and VoxConnex Virtual Phone System. Take your business to the next step in voice communications. Visual Network Solutions has a variety of backup and disaster recovery solutions to fit your company's needs. From local back up to cloud based backup solutions and backup virtualization. When you need enterprise voice solutions without the headaches or the price tag. Visual Network Solutions is here to help you. 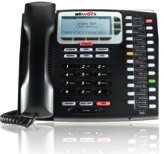 We offer the Award winning Allworx line of voice solutions. Total Care is a new and refreshing way of doing managed services. Not only will we manage your network but will replace old hardware at no additional cost to you.